Actress Erica Fernandes has always been a fashionista on Indian television. Her outfits, especially in the earlier show were considered as the most trendy and ‘in style’ dresses. Huge uproar of fans also once took place on twitter that forced her previous show’s producers to change her wardrobe when they felt Erica’s on screen fashion statement didn’t go along with her personality. She is also seen in various off screen events in some great outfits that make us feel like stealing her wardrobe. Also Read : SIMPLY WOW! Erica Fernandes Looks Magazine Cover Shoot Ready In Her Recent PHOTOS! 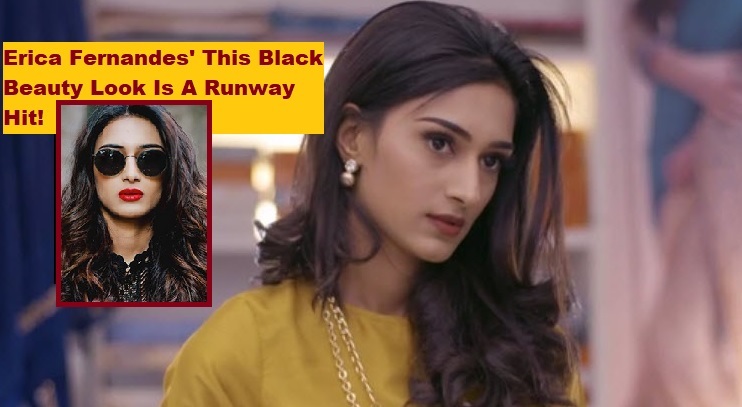 Now recently, Erica Fernandes posted this awesome black dress that caught our attention. The black jump suit with black sunglasses and red lipstick is making her look absolutely gorgeous! Take a look at the picture she posted and let us know in the comment section whether you agree with us or not.